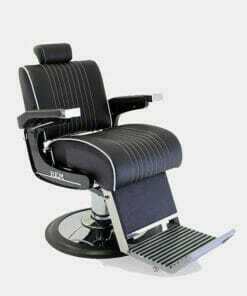 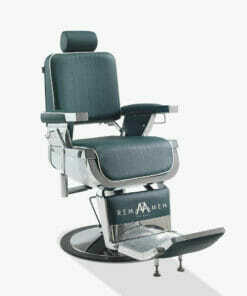 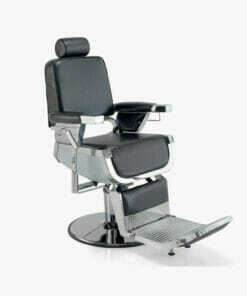 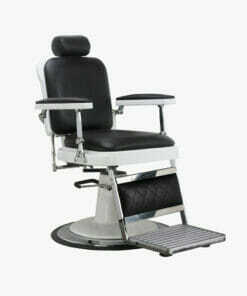 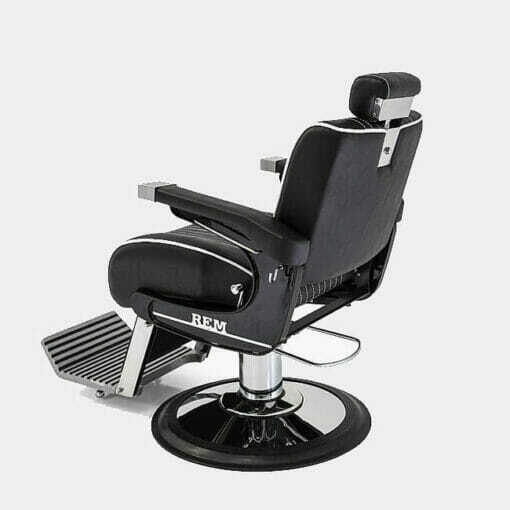 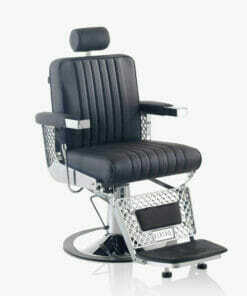 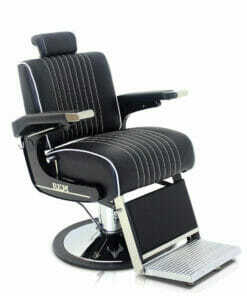 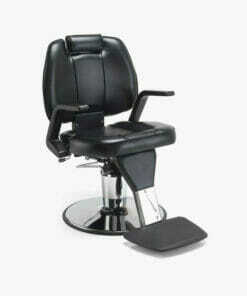 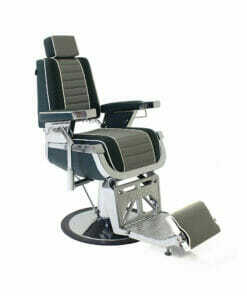 Rem Voyager Barbers Chair, new style barbers chair with retro styling and thick sumptuous upholstery bringing style and panache to your barbering environment. 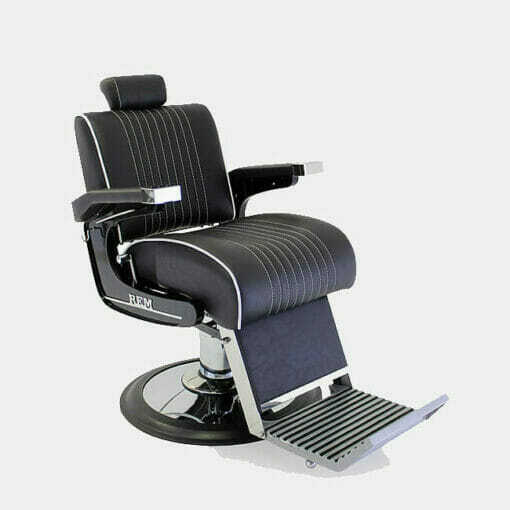 With a full reclining movement, circular large and powerful hydraulic pump base, adjustable headrest, shave hooks and towel rail. 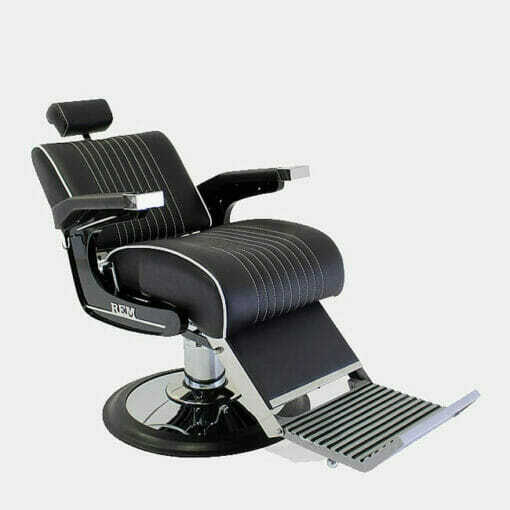 Available in Rem black fabric only with white feature piping. 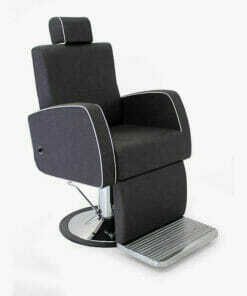 Dimensions Width 67.5cm, Height 60-80cm, Depth 116cm.